If you’re looking for recent Inmotion reviews then you’ve come to the right place. 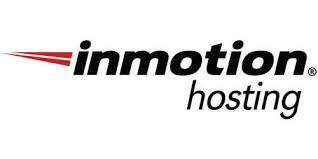 Inmotion are dedicated to excellent hosting service and great customer support. They’re a web hosting company with very affordable plans starting from $5.99per month) so they’re a mid budget-hosting service. InMotion Web hosting goes far beyond simply providing a platform for your website. If you’re looking for an adept host which offers industry-leading page loading times and 5 different ways to get the support you need, this is a worthwhile investment of your hosting budget. I like the fact that the company offers a no-questions-asked 90-day money-back guarantee – a big deal compared to other hosts out there who typically offer 30-day guarantees. With InMotion web hosting supplier, you’ll benefit from a top-of-the-line server selection from Dell. Their first-ever green technology center is based in Los Angeles, California. InMotion hosting invests millions of dollars into their hardware every year, including quality routers from Brocade and Cisco Systems. All InMotion customers experience the best speed and performance options with SSDs with SSH access on all accounts. All shared hosting packages also include unlimited disk space, monthly transfers, domains, and no downtime website transfers. The Pro Plan business hosting account allows form smooth e-commerce integration and has a higher level of parked and sub-domains, as well as more MySQL databases and websites. Here are some key technical and marketing InMotion web hosting features. Although described as “Business Hosting” plans, InMotion’s shared hosting packages are ideal for most medium- to high-traffic sites, from blog pages to growing businesses. The web hosting company offers a trio of shared hosting options, plus more advanced hosting services for organizations with more substantial demands, including VPS hosting, dedicated server options, and reseller hosting. For bloggers and small businesses, however, the Business Hosting packages are a good place to start. Customers have access to hundreds of applications, including eCommerce solutions like PrestaShop and OpenCart. Many CMSs, blogging tools, apps, and scripts can be installed with one click. InMotion top hosting provider supports the use of the latest development languages and technologies, including PHP, Ruby, PERL, Python, PostgreSQL, and MySQL. To protect websites, SSH access is standard on all accounts and Business Hosting Server users benefit from BetterLinux. Review further. InMotion is one of the best hosting companies out there when it comes to uptime and page loading speeds. The unique selling point of InMotion’s technology is its solid-state drives (SSD) hosting feature. Unlike traditional drives, they work without the physical limitations of spinning hard disks, and the restrictions these place on speed and power. SSD hosting on a fast network has no restrictions whatsoever, and InMotion uses a network with a 1Gbps network speed, making it incredibly fast. Alongside free data backups, which many other companies charge extra for, InMotion also leads the industry with their 90-day, money-back guarantee. All InMotion hosting subscriptions enable Max Speed Zones and easy Google Apps integration, and it utilizes business-class hardware across all its websites. The shared business hosting options are very flexible, and there are three plans to choose from: Launch, Power and Pro. There is an obvious difference in price that reflects bandwidth, disk space and security features. Even as the lowest plan, the Launch package manages to be one of the best shared hosting offers in our lineup. Each account holder can manage up to two sites. You are also allowed to host 25 subdomains and six parked domains. Unlimited may be a tricky term in the web hosting industry, but what it means is a number higher than 95 percent of what the user base would ever need. By that definition, this web hosting service offers unlimited disk space, bandwidth and email accounts. InMotion web hosting company clearly has confidence in its product, as it offers the longest money back guarantee period of 90 days. We put this claim to the test and were not hassled by the sales staff about canceling. The only thing that isn’t refunded is the initial cost of a domain, which is $15. Boasting over 310 easy-to-install applications (including WordPress, Drupal, and Joomla) via the intuitive control panel, InMotion offers one of the largest and most varied selection of tools and services provided by a Web host. With a clean, clear and simple control panel (used to help you manage your website behind the scenes), this is a flexible host you can get started with quickly. For the more technically-curious, I like that the host supports the popular LAMP stack (Linux, operating system, Apache server, MySQL database, and PHP programming language). This gives you the power to use InMotion host your way – whatever your level of expertise may be. The InMotion hosting webmail login gives you access to your site’s communication from anywhere, even your smartphone. If you are like me and constantly on the go, you’ll appreciate being able to check your InMotion email on the fly from a tablet or other hand-held device. InMotion hosting service ranks as one of the best shared hosting services for the high level of security it provides. Its system scans incoming emails with its real-time spam filtering. In an industry where basic email accounts don’t often have the level of protection premier email providers give, InMotion has a great system. This is one of the few web hosts to provide every form of security, including an SSL certificate, SSH and free site restoration. It also includes a solid state drive for improved performance and less downtime. InMotion offers year-round, US-based support via phone, live chat, and email. The team can handle any level of support request, ranging from beginner questions to senior-level server management needs. New account specialists are also on hand to guide new users through initial setup. InMotion’s Customer Community Team has authored thousands of how-to guides and tutorials, which are available online, as well as a community-based Q&A section. To summarize the review. InMotion hosting provider is a growing player in the competitive industry of web hosting. What sets it apart is the high quality of customer support and advanced security offerings on the initial plan. The only flaws in the Launch plan are the small number of subdomains, lack of pro support and inability to access eCommerce features. This service has risen through the ranks and is easily now a top-tier web host. InMotion provides top hosting services and security options even in the basic plan, which helps make it a solid option for best web hosting. I cringe when I see scores this low. security is a big deal for my website and my business, so when there are few features that include good security, I turn away right away. I would rate them lower based on that alone. Honestly, after going with a few other hosting companies, just to switch to InMotion the one feature that I had to take advantage of was the US based support through LIVE CHAT. That is HUGE and is great for helping customers that need you NOW. While InMotion isn’t a bad hosting company, it’s not great either. Like you said, they target businesses and their support isn’t always there to help the little guy. Until they change their ways and start putting in more effort towards every customer I’m just going to use other providers. Too bad because their security options are top-notch for the price tag. I am rating this one on behalf of someone I know who uses them. They are a solid company but you have to know what you need going in or you will end up over spending. He uses inmotion for a basic host to run an email from. Nothing fancy, nothing demanding. It works great for him. As mentioned the price is high but he never had issues with them being attacked or down. Thank you FROST for your rating and extensive review! Your thoughts may certainly help the others to make the right decision. Well, you certainly leave a review worth reading. when I look through the features I am just not sure by the time I get to the end. I need something more and my business requires it. Thanks!